Do you like games that are easy to learn, yet difficult to master? How about space, the infinite beyond? 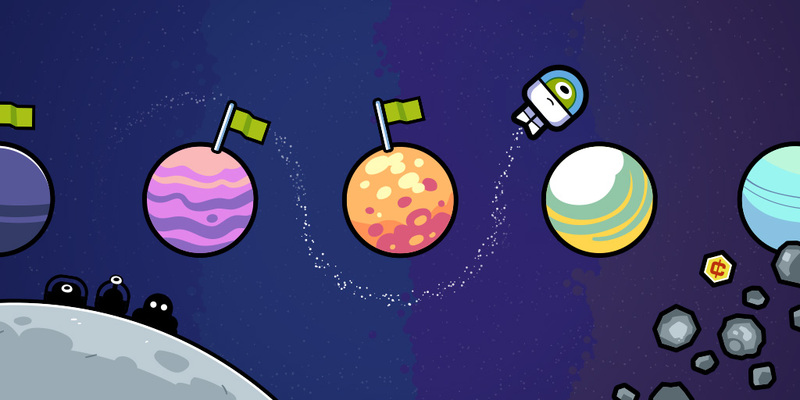 If you said “yes” to one or both of those, you’ll dig our latest game: Spinner Galactic, an endless arcade orbiter with a colorful atmosphere and kooky characters for iOS! We’d been toying around with a handful of prototypes in the years since our last game, but this one trumped them all in terms of its fun factor, learning curve and addictive rhythm. Plus it gave us an excuse to work with (Ramps composer) Brian Muir again! Go play Spinner Galactic on your iPhone or iPad! It’s available now on the App Store.